Samurai-Japanese warrior from the middle Ages. the Samurai selflessly served his master and was ready without hesitation to give his life for him. They are distinguished by the effective technique of swordplay, loyalty and a complete lack of fear of death. They were brave, but at the same time, wise and balanced people who had been trained by a more senior mentor, learning all the wisdom of the Ministry of the old man. That was the warrior-the samurai. How to draw it, see below. Prepare a piece of paper, a pencil and eraser. 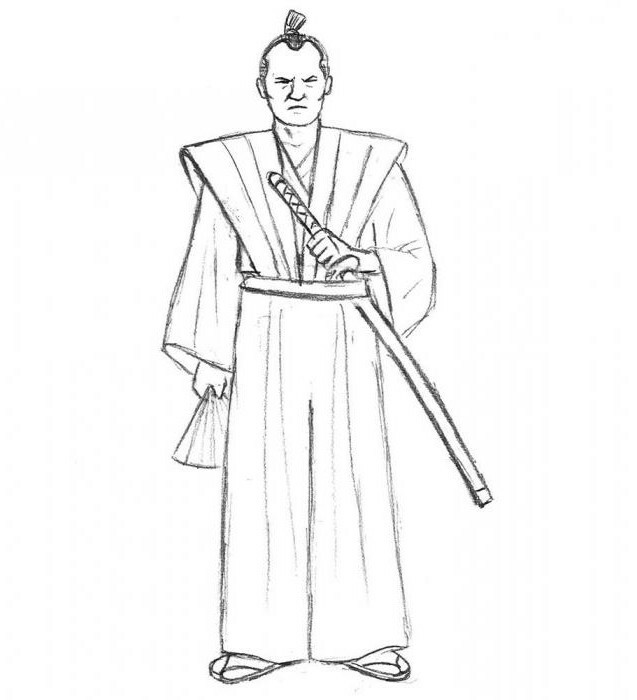 Now you will learn how to draw a samurai with a pencil in stages. Make the outline shapes of samurai principle: oval – the head, body and limbs - just cuts. Left arm bent at the elbow. Legs straight. It will be a standard static pose. Now we must begin to consider the body of a warrior. 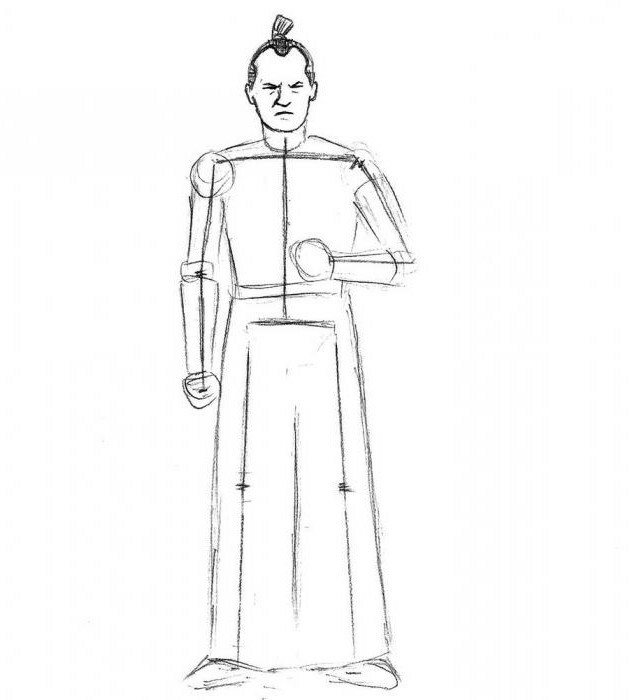 Draw the neck – short cylinder shoulders. Take care of hands. Break each segment into five parts: label the shoulder, elbow joints and wrist in small circles. Shoulders and forearm-long cylinders. shape the torso that needs a little narrow towards the bottom. The lower part, by contrast, must extend to the base. Also mark of the foot. Draw facial features. This can be done schematically, without going into details, as it is not a portrait. To properly position the eyes and nose, you need to know one simple rule: the eyebrows should be in line with the top of the ears and the lower part of the nose – on a level with the ear lobes. Lips draw down as a slightly curved strip. The look of the samurai is an intense and harsh. Add items of clothing worn by every samurai. 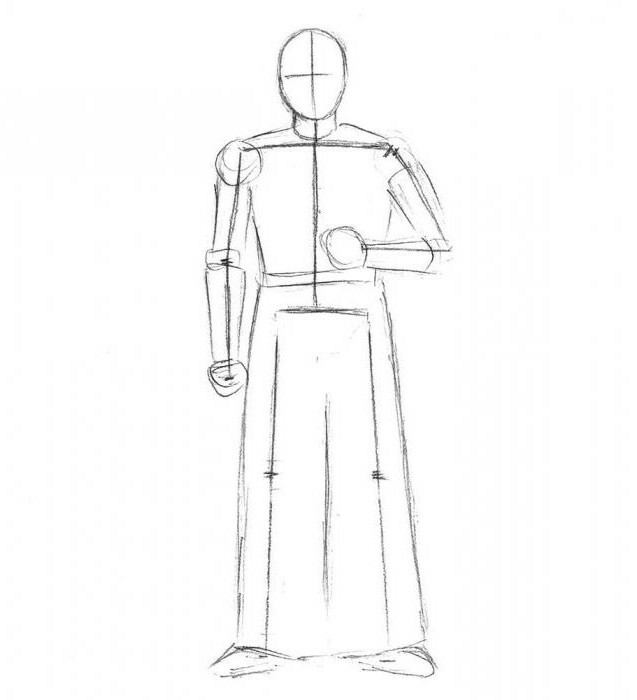 How to draw its clothing? First of all - this top vest samurai, called a haori, it has the shape of an inverted triangle. The upper part is very broad and covers even the shoulders. belt is a samurai sword hidden in the scabbard-katana. Left hand firmly with ill-wishes the hilt of the sword. under haori draw a loose, slightly flared sleeves, in the right hand you can draw a fan. Erase all the construction lines on the upper torso and arms. Almost ready a full-fledged samurai. How to draw the top part, you already know. Left to work on feet. Japanese war wore space pants, called hakama. 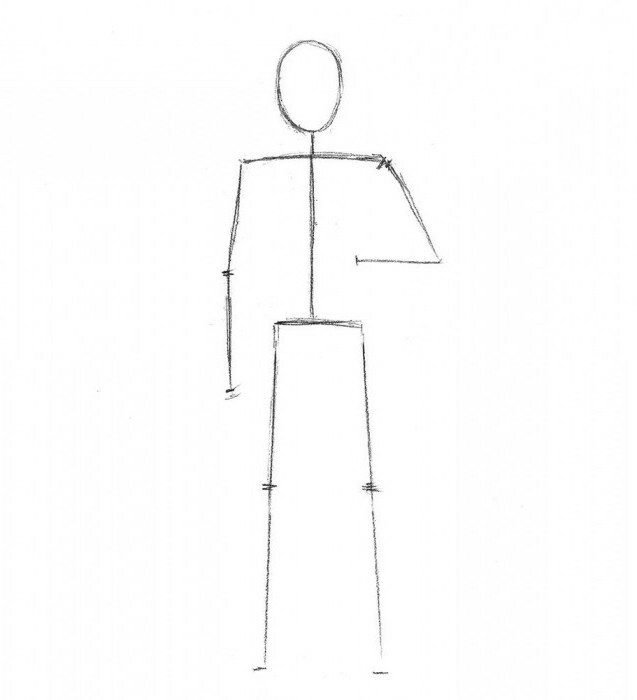 This will greatly simplify your work, as there is no need to draw the shape of the legs and some muscle. Put on your warrior in samurai traditional footwear, reminiscent of flip flops. and you've got yourself a samurai. How to draw a Japanese warrior, you now know. As you can see, it's quite simple. If you have the desire – you can paint the picture, but in black and white it looks beautiful and even more strictly, and therefore, impressive. 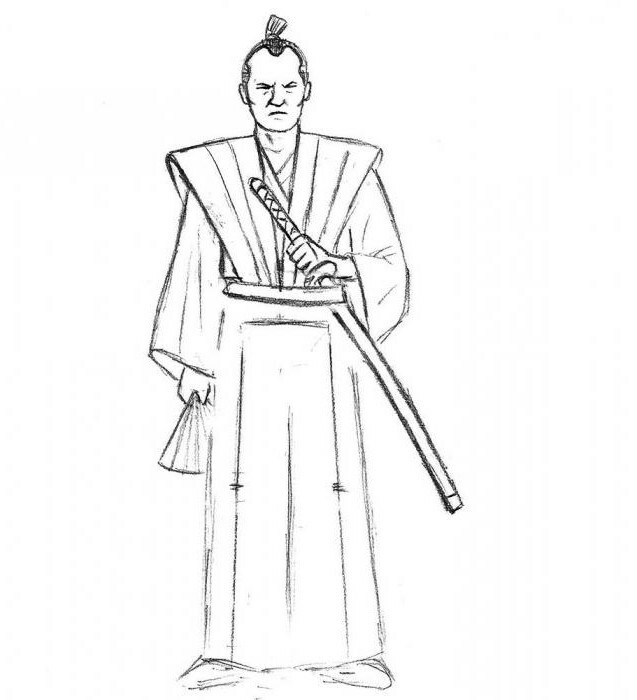 This drawing lesson of the samurai is quite simple, so you can easily make a picture of yourself. advantage of the described method of drawing is the fact that the main part of the picture is clothing, and it is usually easier to draw than human body parts. If the operation result does not satisfy you the first time - do not worry. Try again, and eventually you will be able to draw these characters in static poses quickly and easily. Dubrovnik: don't go to the hotels with 5 stars! 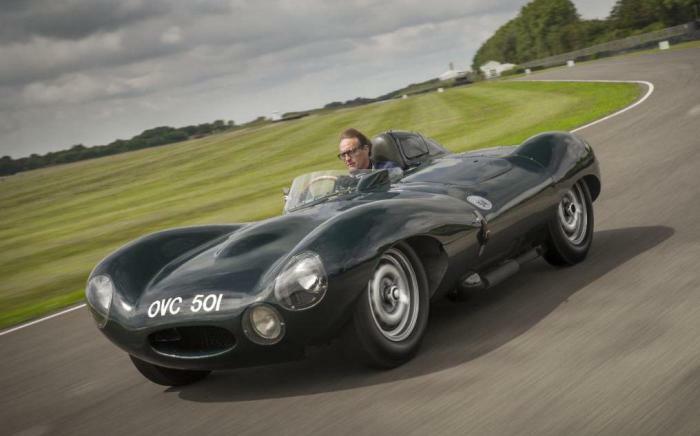 Why say that new car Jaguar 60 years? Could it be?